As the project moves into its build phase, advance works are in progress at various locations on the route. Removal of a defective accommodation bridge at Cowbraehill will allow for its replacement by a new structure. Some of the masonry from the old bridge will be reused on the Borders Railway project. 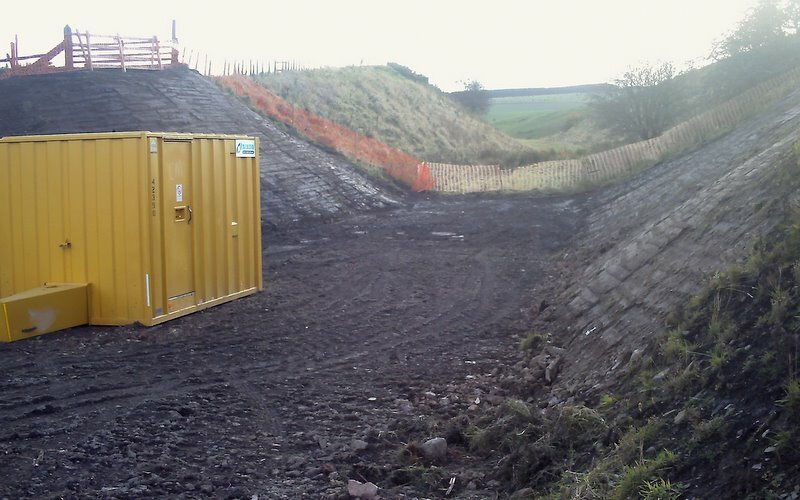 The image shows the Waverley Route trackbed and the cleared site of Cowbraehill bridge. Here’s more, in a press release from Transport Scotland.